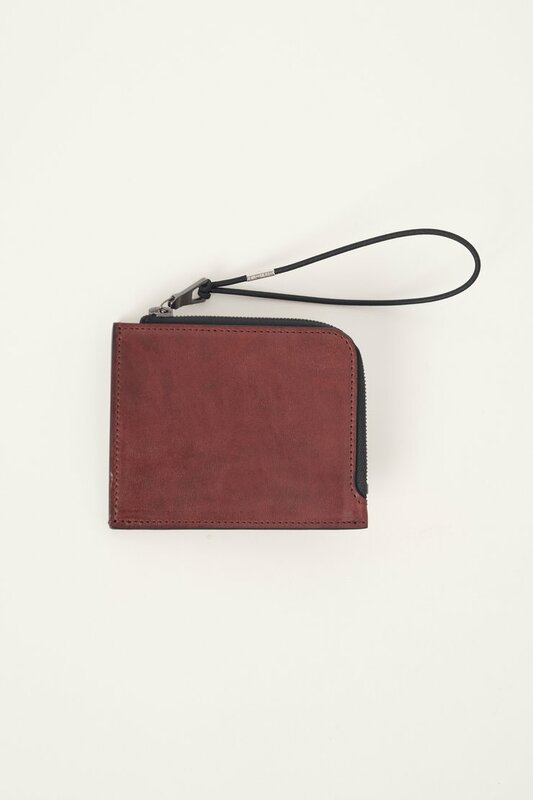 Our Tuner Zip Wallet in Burgundy. 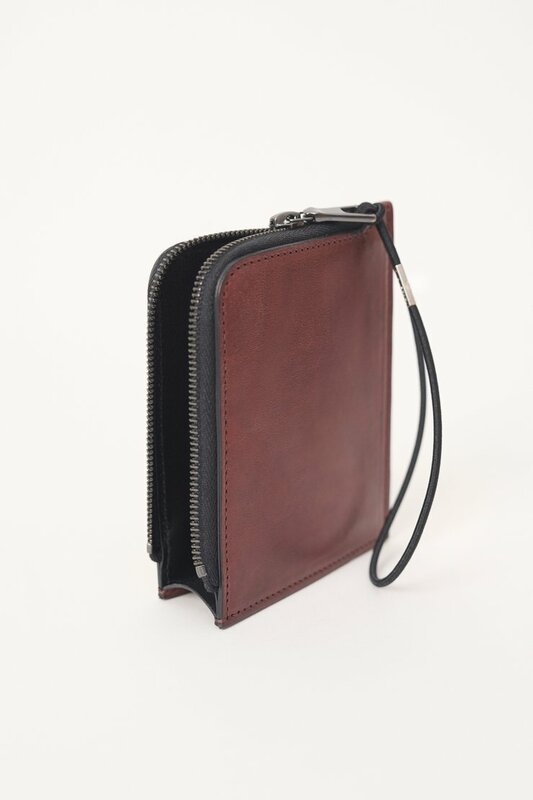 The gusseted central compartment provides space for cards and cash, while the Riri zip closure features a Japanese elastic cord that can be removed and used as a separate card clip. Produced in Italian horsehide bonded to a soft nappa leather lining.